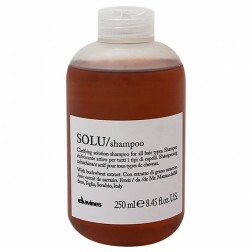 Davines SOLU Refreshing Solution Shampoo. It removes hairspray residue and other styling products, respecting the physiology of the hair and scalp. 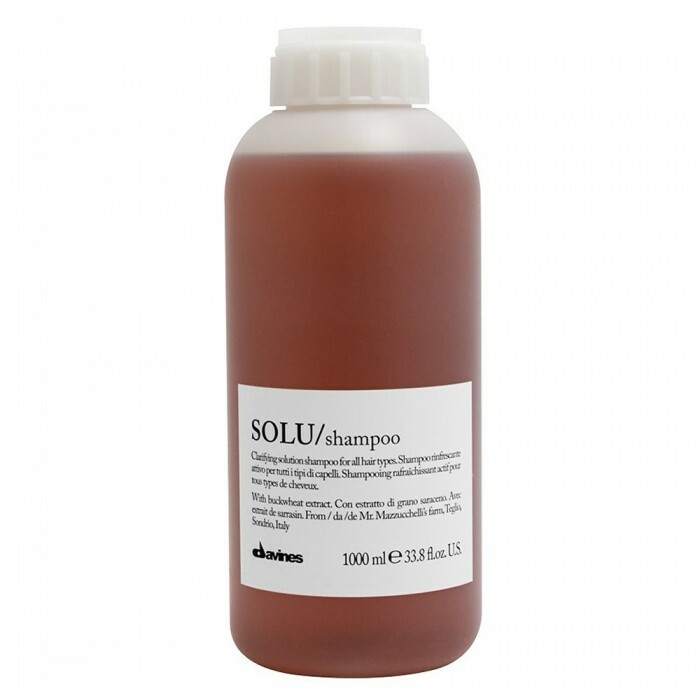 Thanks to its natural active ingredients, Davines SOLU shampoo deeply cleanses and instantly moisturizes restoring silkiness and body to the hair without weighing it down. Davines SOLU Refreshing Shampoo 33.8 oz (Liter). Perfect for all hair types, particularly useful for people who frequently use styling products/ or before permanent waving. Olive Ampho Acetate (is a natural ingredient delivered from pure Olive oil and has an effective but non-aggressive cleansing action, leaving hair soft and moisturized). Use: Massage gently into wet hair, rinse, repeat of necessary. To purchase Davines Liter Pump click here. Water, Sodium Laureth Sulfate, Cocamidopropyl Betaine, Sodium Olivamphoacetate, Sodium Chloride, Glyceryl Oleate, Coco Glucoside, Sodium Lauryl Glucose Carboxylate, Lauryl Glucoside, Amodimethicone, Dimethicone, C11 15 Pareth 7, Lauryl Alcohol, Laureth 9, Glycerin, Trideceth 12, Dicaprylyl Ether, Polyquaternium 7, Hordeum Vulgare Seed Extract, Xanthan Gum, Hydrolyzed Sweet Almond Protein, PEG 120 Methyl Glucose Dioleate, Citric Acid, Disodium EDTA, Benzophenone 4, Potassium Sorbate, Phenoxyethanol, Methylparaben, Ethylparaben, Propylparaben, Butylparaben, Isobutylparaben, Yellow 5 (CI 19140), Red 4 (CI 14700), Blue 1 Lake (CI 42090), Fragrance.